Jenna is a freelance writer, specializing in fitness and health topics, but loves essay writing and covering pop culture, travel and parenting stories. Jenna was previously the fitness editor at Fitness magazine. She lives in Westchester County, New York with her husband and their toddler daughter, Evie. 1. Do a blood sugar check. You need to think about your blood sugar levels both before and after exercising. If your blood sugar is low prior to working out, then snack on 15 grams of fast-acting carbohydrates (like an apple, orange, slice of bread or granola bar) and wait 15 minutes before re-checking. If it's within your target pre-exercise range, then hit the gym; if not, continue to follow the 15/15 rule (eat 15 grams of carbs, wait 15 minutes) until it's within a normal range. If your blood sugar levels are too high before a workout, focus on having a protein-rich snack an hour or so before you want to get started. 2. Listen to your body. If you're on medication to lower blood glucose levels and you end up feeling weak, tired and tempted to call it quits during your workout, it could be that your blood sugar is low. To be safe, pause and check your levels. Sipping on a fast-acting carbohydrate source — such as a sports drink, 100 percent fruit juice or five to six crackers — can bring you back to normal. 3. Refuel ASAP. What you eat after your workout may be one of the most important foods you eat all day. “Refueling after exercise is important to prevent a drop in blood sugar levels,” says Erin Palinski-Wade, RDN, CDE, and author of "2 Day Diabetes Diet." “This is also the time that you replenish glycogen stores that have been depleted in your muscles.” She says that for every half-hour of exercise, aim to eat 15 to 30 grams of carbohydrates (try eight ounces of milk with a medium apple, for example). If your blood sugar is elevated after exercise, focus on refueling with proteins like tofu, beans, fish, Greek yogurt or hard-boiled eggs. 4. Hydrate, hydrate, hydrate. “People with diabetes always need to add extra fluids to the minimum recommendations,” says Olson. (She says for men that's an average of 100 ounces of water a day, and for women about 75 ounces.) “Water helps to dilute the blood and moves waste through your kidneys,” she explains. Never start your workout if you feel thirsty. Thirst means you are under hydrated, says Olson. Drink one to two 8-ounce bottles of water beforehand, and then drink about a third of a cup of water every 15 minutes during exercise. 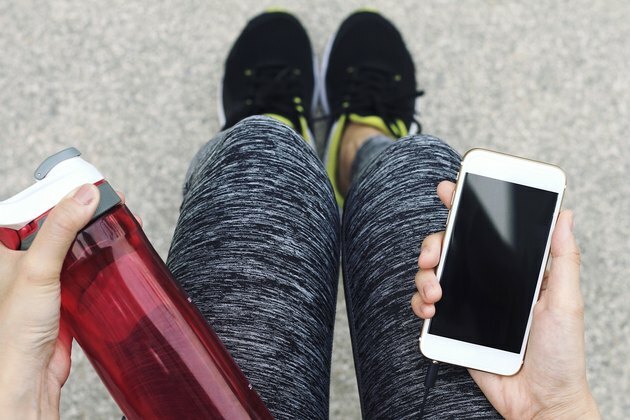 And to make sure you're downing enough throughout the day, download a water app like LIVESTRONG.COM's free MyPlate Calorie Tracker app on your mobile device, which allows you to track your daily water intake easily. 5. Train for fun. Researchers discovered that people with Type 2 diabetes who used a Wii Fit video game as their only form of exercise for a 12-week period experienced a reduction in elevated blood sugar levels — proof that working out shouldn't feel like punishment. “You don't need to kill yourself to get results,” confirms exercise physiologist Patrea Aeschliman, owner of 15 to Fit Pilates, Barre and Fitness. “When you finish a workout, you should feel that you'd be able to do it again. Unless you are a competitive athlete, remember, that you are training for life.” So think about what you like doing — swimming, tennis or biking — and do it for fun. The rest will follow. 6. Sit less, move more. Even if you think you've checked working out off your to-do list, don't plant yourself in front of that computer screen for the rest of the day. Not even exercise can undo the harm of sitting for long stretches, according to a review published in the Journal of the National Cancer Institute. What's more, a study from the University of Leicester found that decreasing sitting time by 90 minutes in total in each day may result in critical health benefits for those with diabetes. If you work 9 to 5, try to get up and move around every hour for at least 10 minutes. 7. Exercise in increments. Instead of doing one long workout, consider breaking it up throughout your day. A Canadian study found that participants who engaged in high-intensity exercise (10-minute bursts, three times per day) experienced a larger decrease in blood sugar patterns over a three-month period compared to those who performed more sustained, lower-intensity exercise. Galina Denzel, co-author of "Eat Well, Move Well Live Well: 52 Ways to Feel Better in a Week" recommends doing things like power walking during your lunch break or going up and down a large set of stairs in your office before you head home. Follow her strategy: Exert yourself for a minute, take a minute to cool off, then go again, performing this six times total over 12 minutes. 8. Walk after meals. Going for a stroll after you eat directs blood sugar to active muscles, and your muscles' contractions use up glucose, thereby lowering your levels. Researchers suggest waiting about 30 minutes after a meal and then taking a 15-minute walk. 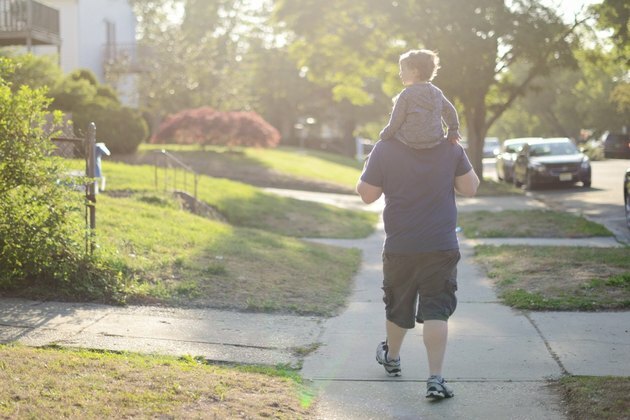 “This can be done after every family dinner as a way to bond with your kids or catch up with friends, so it doesn't really feel like working out but it's doing something to jumpstart changes in your body,” says Denzel. 9. Get a good pair of kicks. A side effect of diabetes is that the reduced blood supply to your feet can cause a loss of feeling known as peripheral neuropathy. This can mean that foot injuries like blisters, which can happen when you're working out, do not heal well. “One of the most important rules in working out with this disease is wearing shoes that fit well and protect your feet,” says Olson. 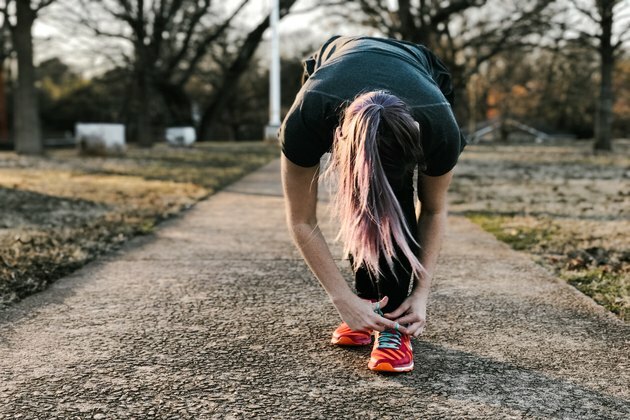 “Wear athletic shoes that are in good shape and are the right type for your activity.” (So even though those CrossFit sneakers may look cute, they're flat-footed and not good for running.) Also, make sure to watch your feet for redness, sores and bumps, and check in with your doctor regularly if you notice any new foot problems. 10. Lift weights. Don't forget about the dumbbells during your workouts. While either aerobic activity or resistance training alone can improve the blood sugar levels of someone with Type 2 diabetes, doing both three times a week had the best results, discovered a study published in the Annals of Internal Medicine. “Experiencing an increase in lean muscle mass from weight training can boost your base metabolic rate and cause you to burn calories at a faster rate,” says Olson. And burning those calories keeps your blood glucose levels in check. “The ability of your muscles to store glucose increases with your strength, making your body better able to regulate its blood sugar levels,” she says. Your body's fat-to-muscle ratio decreases, reducing the amount of insulin you need in your body to help store energy in fat cells. Use apps like Jefit Workout or Gymstar to find databases of moves and get customized routines to follow. 11. ID yourself. Wear a necklace or bracelet or carry something that identifies you as a person with diabetes at all times. “You never want to be somewhere and have an attack and be unable to get the help you need,” says Olson. Carry a medical identification card inside your wallet, tape your medical info to the back of your phone or wear a fitness bracelet like one from Road ID (starting at $29.99 at roadid.com). Make sure you indicate whether or not you take insulin and list an emergency contact as well. Would you rather workout for 30 to 40 minutes, or break it up into 10-minute increments throughout your day? And what's your favorite way to stay fit?